Bright and spacious rooms equipped with modern amenities at a reasonable price. Hotel Karma makes you relish a sweet and comfortable stay with all basic amenities to ensure covenience of its guests. 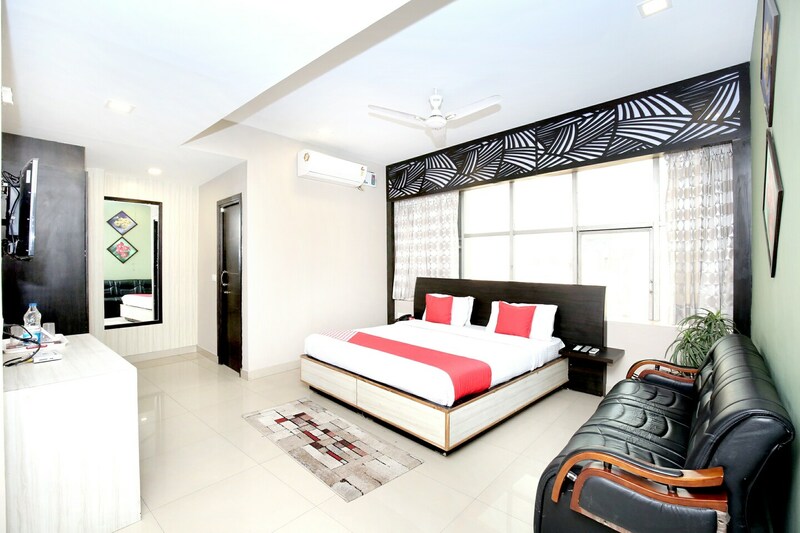 The rooms are well designed to give a home-like vibe and suit ideally for people travelling for leisure as well as business. The artistic paintings and intricate wooden finishing add a chair to the decor of the room. Packed with all basic amenities like free Wi-Fi, parking facility and in safely guarded premises with CCTV cameras, your stay is set to be hassle-free. Some notable attractions near the hotel are Sh Narayan Das Ji Bare Wale, Shastri Market and DLF Galleria Mall which give you a chance to get to know the city better. Ample of restaurants nearby ensure that the visitors have a variety of food choices with them.